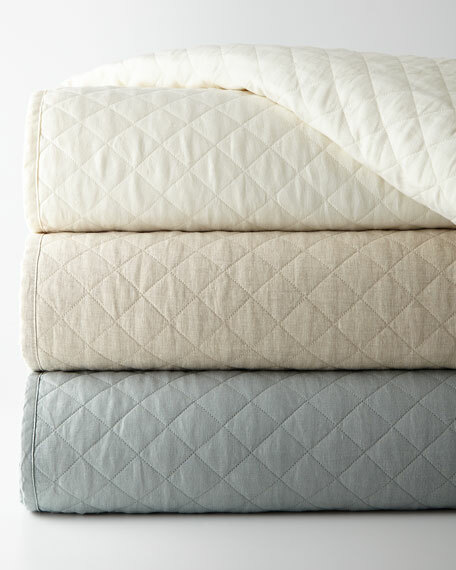 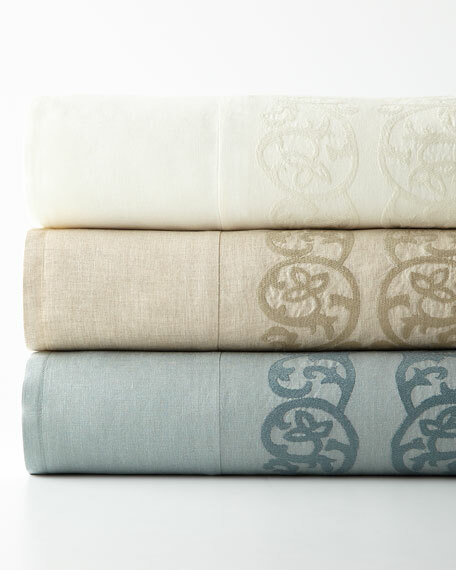 Duvet cover made of linen. 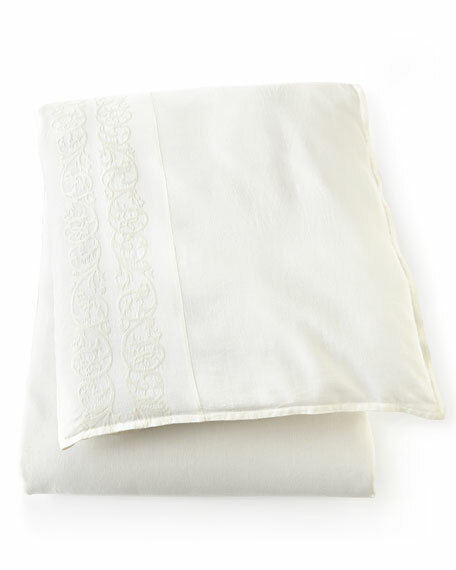 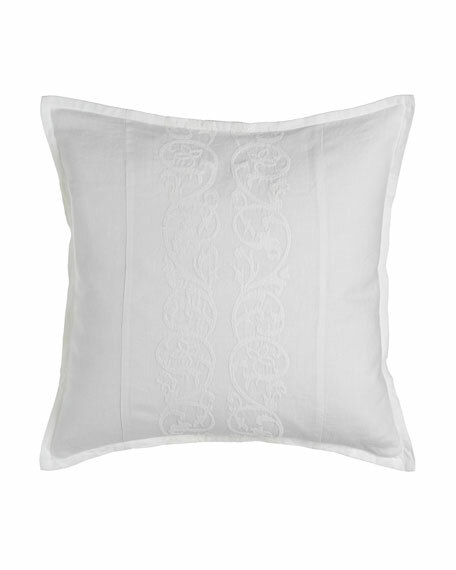 Pom Pom at Home Ruffled, Frayed-Edge Mathilde European Sham, 26"Sq. 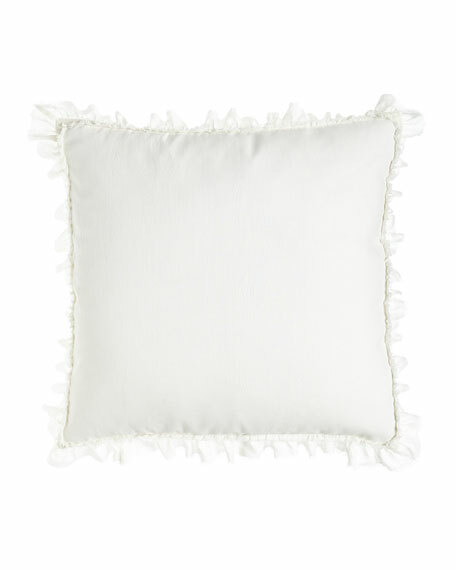 Pom Pom at HomeRuffled, Frayed-Edge Mathilde European Sham, 26"Sq. 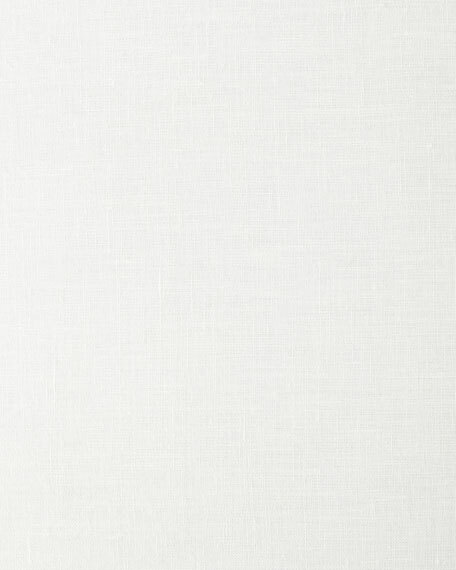 2.5" frayed edge with 0.25" velvet ribbon trim. 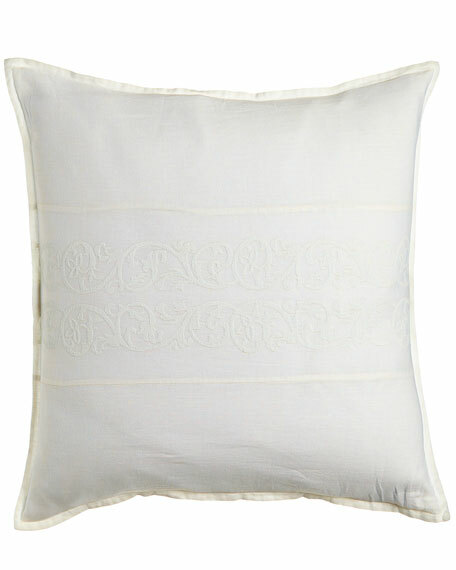 Pom Pom at Home Allegra Pillow, 24" x 14"
Pom Pom at HomeAllegra Pillow, 24" x 14"